As symbols of the adventure, the construction of monumental complexes whose aims are yet to be determined. Simple watchtowers, wealth storage rooms with dark alcoves, seat of power or meeting room for particular events, shelter of a prominent figure of the community, or place of shamanism of ancestral beliefs, these monuments still challenge us today. Some fragments of broken statue-menhirs were used as construction material to build those monuments around 1200 B.C. After the anthropomorphic statuary art, enthusiasts of megalithic art chose other cultural or religious practices that are expressed through the building of large circular monuments, the “torre”. These turriform constructions are at the root of the “Turrichju” designation given to the site. Filitosa has two of those, in the centre and on the Western side, filled on the East by a platform for the surveillance of the main entrance. 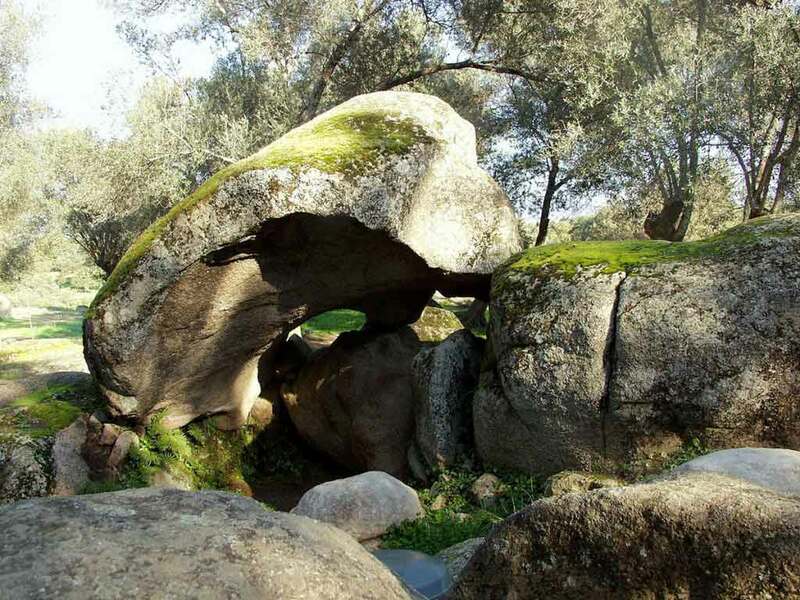 Boundary walls made out of large stones, called cyclopean, surround the site. The grouped housings of the Bronze Age are thus called “Castelli”. If the boundary walls are certainly defensive, the primary purpose of the “torre” is not military. The layout of the rooms, corridors, cubbyholes is not governed by a military logic. Could the complexity of the internal arrangement be intentional, destined to hide the proceedings of some funeral or initiation rite? The presence of a fired clay area located in the centre of the central monument’s unique room weighs in favour of this hypothesis. Ritual fires were lit, as reflected by the presence of ashes. The “torre” is a fire temple, however, we do not know the purpose of these fires. Are they linked to initiation rites, deaths, natural events, or divinities? The Corsican “torre”, the Sardinian “nuraghi”, Balearic “talayots”, are all part of a large Mediterranean architectural family, who use the cupola in the construction of circular monuments. 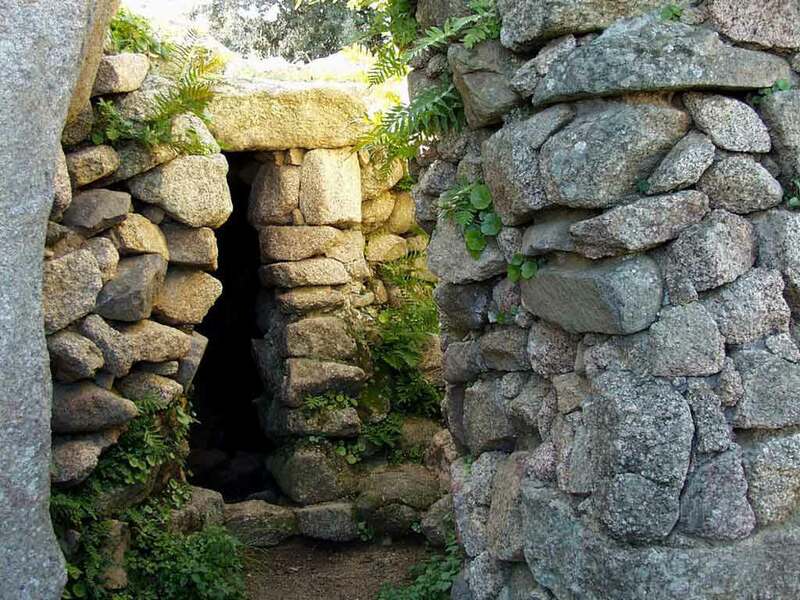 The covering of the “torre” is no longer made of straw or wood, but instead made of a false vault of corbelled stones, that funnel around the top. 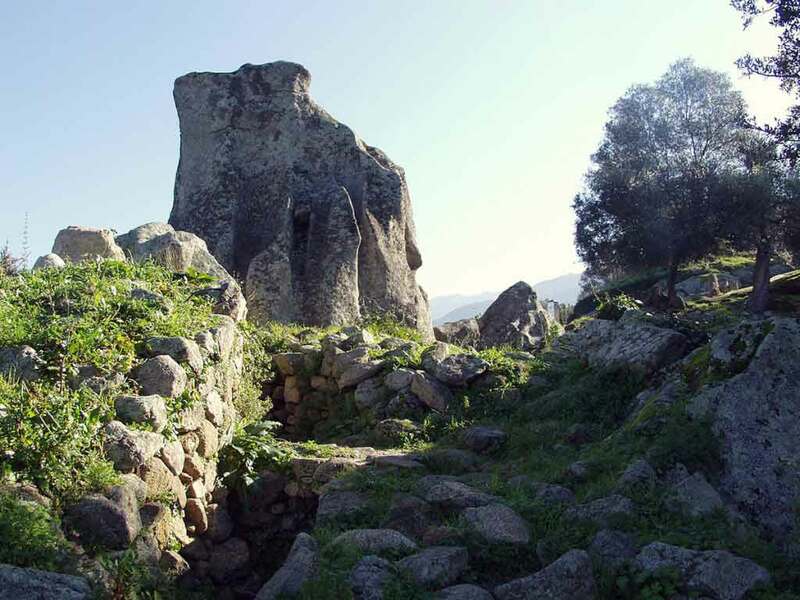 The Torrean monuments of Filitosa were not only a refuge or a place of worship; they were also used as warehouses for food supplies or weapons, or as an observation site.